Think I might be lost? Haha, I think he knows exactly where he wants to go! Yay – Go Spiderman, Go!! Bless – amusing himself while waiting? I never knew Spiderman had furry slippers!! 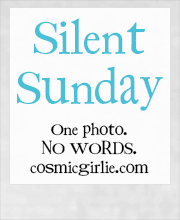 Just discovered your blog via Cosmicgirlie and Silent Sunday. It was the name that got me! 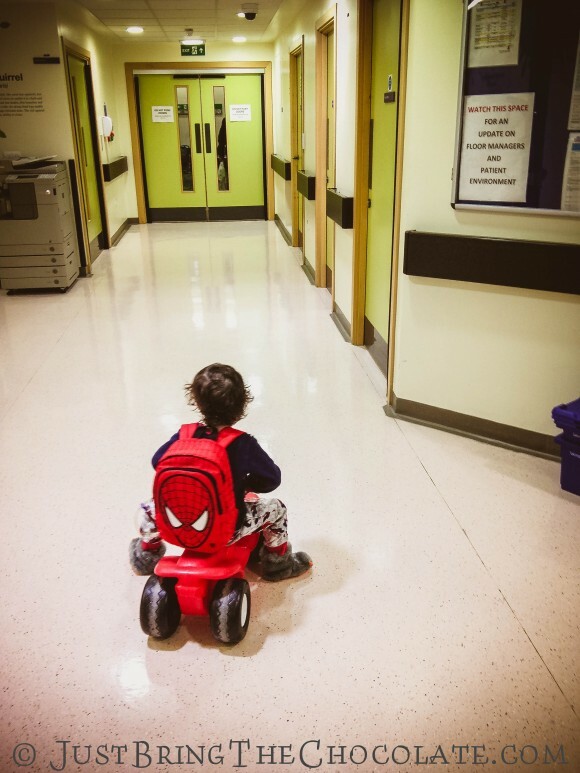 This picture is such a juxtaposition – the stark hospital corridor and then the spiderman rucksack. It makes me feel some trepidation though; he looks so small in that environment. Love the outfit and hope everything is ok! This gets over your family’s story so very well. The Boy Makes a Dash for It……that is so cool to see that he’s flying around, free from tubes even if its for a few minutes. PS How did the Gingerbread House go down? How many hours/days did it take to be decimated to crumbs? Actually Siobhan that’s what the spiderman back pack is holding. He could just about remain upright with it on! He can’t stop his feed at all at the moment, not even for a bath. We are going to be following your story due to the combined issues of hypermobile joints and “muscle weirdness” and complexity. Our littlest guy has a huge combination and is in the NIH undiagnosed diseases program. Myself and my older son are hypermobile with transparent skin over chest, etc; oldest also has immune deficiency like little brother. We are classed as “ehlers danlos syndrome” at the moment and have a never before seen gene deletion, but my youngest has way more involvement (deafblind, dandy walker syndrome, extreme low core tone, non verbal, etc) so we are hoping for answers too. interested in what you find out as things unfold…great blog!